A Tennessee native, Dr. Anne Peaks grew up in Savannah, TN. She attended the University of Tennessee at Martin where she received her undergraduate degree in biology and she attended the University of Tennessee where she received her degree of Doctor of Dental Surgery. Prior to establishing Lenox Village Dentistry, Dr. Peaks worked as a dentist in Fort Worth, TX. 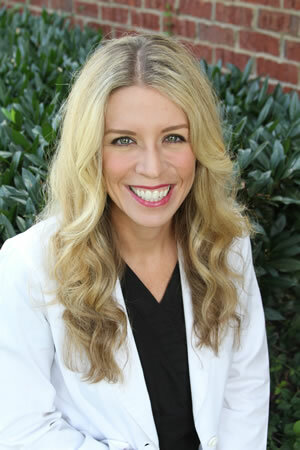 She is dedicated to the newest advancements in cosmetic dentistry and keeps up-to-date with the latest technologies. Dr. Peaks is a member of the American Dental Association, Tennessee Dental Association, and the Nashville Dental Association. Additionally, Dr. Peaks is a member of the Better Business Bureau. When Dr. Peaks is not practicing dentistry, she spends most of her time with her family and dog. Dr. Peaks enjoys exercising, running and following college basketball. Dr. Veronica Filos completed her undergraduate studies at Loyola University in New Orleans, Louisiana with a major in biology. She graduated from Louisiana State University School of Dentistry, where she was inducted into the Edmund C Kells Dental Honor society and received her degree of Doctor of Dental Surgery(DDS). 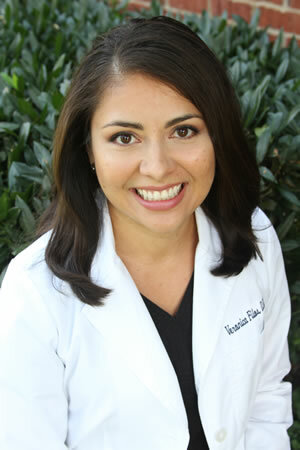 After dental school, Dr. Filos completed a one year General Practice residency through the LSU School of Dentistry. Dr. Filos is a member of the American Dental Association, Tennessee Dental Association, and the Nashville Dental Society. She is bilingual in both Spanish and English. Dr. Filos relocated to Franklin, TN with her husband, Blake, in June 2010. She is excited about Nashville and the surrounding community and is looking forward to providing quality dental care with a smile. When Dr. Filos is not practicing dentistry, she enjoys traveling with her husband, spending time with friends and family, painting, and Bikram Yoga.